On the Morning of September 25, 2018, Doris, Mom, passed away peacefully at the age of 86. She will be greatly missed by her children, Donna Merkel (Shane Verquin) and grand daughters Telsa and Cera Merkel, Barbara Paxton and grandchildren Trevor and Kimberly, Garth (Pauline) Forrest and grandchildren Chelsea, Kailey and Caleb and Lona (Gordon) Martens, as well as grandchildren Tyson, Tyler and Rebecca. 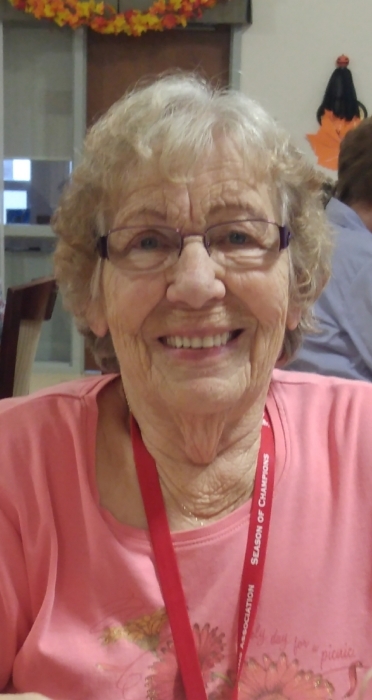 She will also be missed by her sister Ann Sealander and brother Marvin (Carol) Pickering and many numerous great grand children, nieces and nephews and extended family and friends. Doris is predeceased by her parents Dorothy and Henry, brother Allan Pickering and son Brian Wykes. A Memorial Service will be held Saturday October,13th at 1:00 p.m. at the Darwell Community Hall. The family asks that if you have any photos of Doris that you would like to share to please bring them with you for the memory line. In lieu of flowers donations can be made to the: Alzheimer’s Society of Alberta and Northwest Territories.